Kerala is known for its cultural diversity, commercial progression and its blend with nature. Although Kerala known as God’s own country, the state is not quite known for its number employment opportunities. However, there is a noticeable positive growth in private sector jobs compared to government job opportunities. 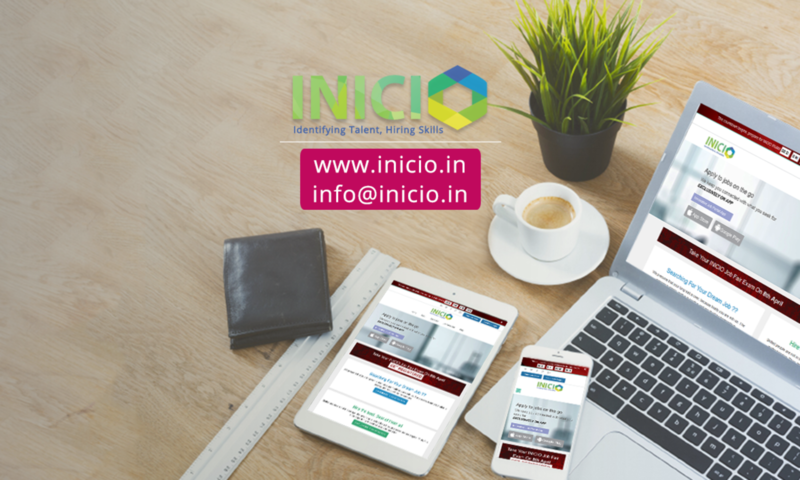 Online IT jobs that provide the facility of working from home has set a trend in the employment market of India for a long time now and it can also be seen in Kerala as well. Just sit at your convenient space and work with the help of technology available in your hands. Such jobs give good job opportunities to people who are trying to rebuild their career after taking a short break from their working period. there are many online jobs which are either part-time or full time. online jobs may or may not pay it depends upon the company we are dealing with. Traditional executive jobs opportunities are less but even then there are vacancies in private companies where we can get an in-hand experience of office work. There people even now who prefer in- office job than offline as it has more transparency compared to online jobs. List of some in-office jobs is Assistant professor/Lecturer in a reputed college, In-office content writers, web designers, graphic designers. Most in-office jobs are paid jobs compared to online jobs. Apart from the massive boom in employment sector of Kerala, a major shift in the pattern of job search can be observed here as more and more computer operator jobs and bank job vacancies are there now compared to the Govt jobs. In the beginning, there were only Govt jobs and less private jobs. Later when there was an increase in Private jobs people preferred govt jobs but now many prefer private jobs when compared govt jobs as it has better pay and benefits. Earlier there was a trend of moving outside Kerala for job opportunities but now there are job vacancies in job vacancies for freshers in Trivandrum and Ernakulam. Freshers were given more priority by most of the jobs outside Kerala as they have the good caliber to learn about new areas faster compared to the experienced ones. But in Kerala, there are Available Vacancies to both freshers and youngsters. You can find opportunities to do Online jobs provided by apps or Job searching sites in Kerala. They have part-time jobs to Full time paid jobs in various companies and from non-paid to paid jobs. A very important advantage of job searching websites are you need not to go long distance and apply for jobs which are waste precious time and money, but apply online and also have the interview online through a telephonic interview. In recent years job opportunities for 12th pass students have also been in trend as more opportunities for less qualification and good pay. The moment they complete their required basic education of 15-16 years they get offered with well-paid jobs so that they can fund for themselves for their higher studies similar to the system followed in abroad. There are more opportunities waiting for freshers. Apply through job searching sites and utilize the opportunity. Similar to the trend of having jobs soon as you complete +2, in recent years we have seen an increase in the job opportunities for Graduate students. Many companies don’t demand higher qualification having a basic degree is enough to obtain jobs. Office assistants, Office executives, Business development executives are posts having an immense amount of vacancies. Another job people look for is computer operator jobs as many prefer to work in this area of work. He/she must have skills regarding the field. Data entry jobs in schools, companies etc are types of computer operator jobs where there are lots of opportunities. People who are interested in this job can apply through Job search site. This particular job is suitable for both beginners and little-experienced people only thing they have to do is to make the customer buy their product and for that, they need to have immense communication skills and use some communication tactics if needed. Lots of vacancies are there for the sales marketing executive post. In this field, we have software testing jobs which are in popular demand when it comes to job search. anybody who is well aware of the software and their uses can apply for jobs like software embedder, Look for a particular software related job like if you know extensively about Java you can join companies as Java developer. Web designing is another area which has been in trending in almost all job search sites if a degree in web designing and you have done few projects on your own, your selected straight to any multinational company who can use your skills to develop and boost their website. There is scope for posts like Web designer, Web developer etc. There has been a sudden increase in teaching job opportunities. Anybody who has skill in being patient and teaches well can apply for online teaching jobs where there are lots of students are in dire need of good education. There are online and offline job vacancies for qualified teachers. Vacancies can be seen for TGT, PGT qualified teachers. Another area of scope when it comes to job opportunities is freelancing. you can work as a Freelance content writer, an Associate editor with payment for your every article that will reach you as soon as its content is approved. similarly, Freelancing can be done in the field of Web designing, computer operator.etc. The main advantage of freelancing is you can choose your specialized area of work where you want to work and which has great pay. Another way of finding jobs is through Job fairs where many companies are waiting to higher experts in the fields required by the company. Upcoming Job Fairs have helped in recruiting many people to good companies. Once we decide to go for a job fair know the company who is offering you the job, make sure that its well established and has good pay. Many top-notch companies come in the job fair and it could be confusing at times but choose the one you are passionate to work for it will reflect in your job application.